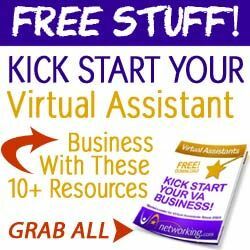 Most professional growth in a Virtual Assistant business comes from our interactions with others and reciprocal learning. With that being said, it’s a good idea to establish a network of mentors which enables you to not only learn more, but also provides you with guidance options. No one ever said that relationships with mentors have to be on formal grounds. Some of these relationships are much simpler than that. These mentors are those that you will be able to turn to in case you have a simple question while starting your new business venture. They will be “the voice of experience” that will help answer simple questions in case you get in a rut. Finding a way to connect with mentors isn’t always easy. There are a few different ways you can do this. 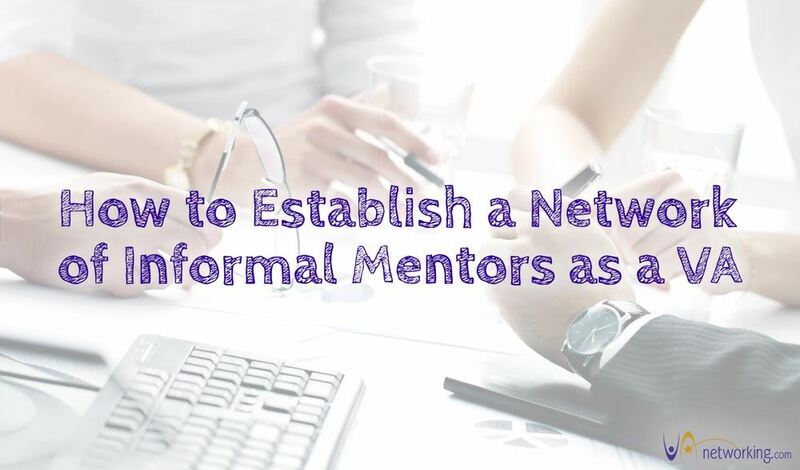 Let’s take a general look at possible ways you can connect with and form a network of informal mentors. Finding successful individuals is a little bit easier when you have social networking on your side. Many large companies have presidents or CEOs that are active on social networks. Sharing their information, replying to their posts and interacting with them on these sites can help you build a relationship with them. Another great way to establish contact with successful people is to attend public meetups, conferences and trade shows. This is where you can meet people face to face and possibly approach them with the idea of possibly providing some mentorship for you and your business. You may be surprised at how some would react. Many professionals would be flattered to know that you admire them and would be more than happy to share some of their expertise and input with you. Honesty is the best policy. Don’t sugar-coat things and make the situation to be something it is not. If you come across as having an ulterior motive, these highly successful individuals are going to pinpoint that from the get-go. Make sure you lay it on the line as to what it is you need from them. You don’t want to come across as someone who isn’t genuine. Being straightforward and authentic is what will put you in a position for consideration. While you may have tons of questions for this successful professional, you certainly don’t want to flood them with requests related to mentorship. You should also decide exactly what it is you need from them before asking. If your request contains a lot of high maintenance items that will require a great deal of their time, you will most likely be denied any assistance. Keep it simple, straightforward and leave out the hype. This can include something as simple as a request for a short phone conversation or exchange emails on occasion. If this person sees that you are genuinely interested in their input and it isn’t going to take a great deal of time, you are more likely to get the help you need, when you need it. If your method of approach is sincere and well voiced, you will have a much better chance of forming these informal relationships with successful professionals that can give you some quick guidance. Do you have a mentor yet then please share how you connected with your mentor? If not, why not considered finding one?